People in India who are targeting Sidhu are doing a great disservice to peace in the subcontinent, said Imran Khan. Islamabad: Pakistan Prime Minister Imran Khan Tuesday came out in support of Navjot Singh Sidhu who is embroiled in a controversy after attending his oath-taking ceremony, saying those who are criticising the Punjab minister are doing a great disservice to peace in the subcontinent. Sidhu had attended the event in Pakistan on August 18. He was slammed by the Opposition and earned displeasure even from his own chief minister Amarinder Singh over his decision to visit Pakistan and hug its Army chief General Qamar Javed Bajwa. The former cricketer today held a press conference in Chandigarh to defend his decision. “I want to thank Sidhu for coming to Pakistan for my oath taking. He was an ambassador of peace and was given amazing love and affection by people of Pakistan,” Khan tweeted soon after Sidhu’s press conference. 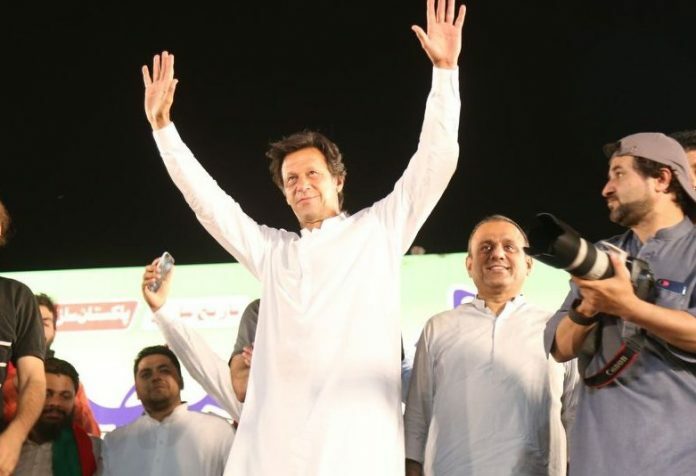 “Those in India who targeted him are doing a great disservice to peace in the subcontinent – without peace, our people cannot progress,” Khan said. To move forward, Khan said Pakistan and India must engage in dialogue and resolve their conflicts, including the Kashmir issue.